Apex Headache ClinicNewsVertigoHas Vertigo got your head in a spin this Valentine’s Day? Has Vertigo got your head in a spin this Valentine’s Day? This month, Rebecca Nelson, Founder and Spinal & Headache Physiotherapy Specialist at Apex Headache Clinic discusses how getting the correct diagnosis for your vertigo is key to treating it, and how the clinic has a very high success rate in clearing patients of this awful condition for good. 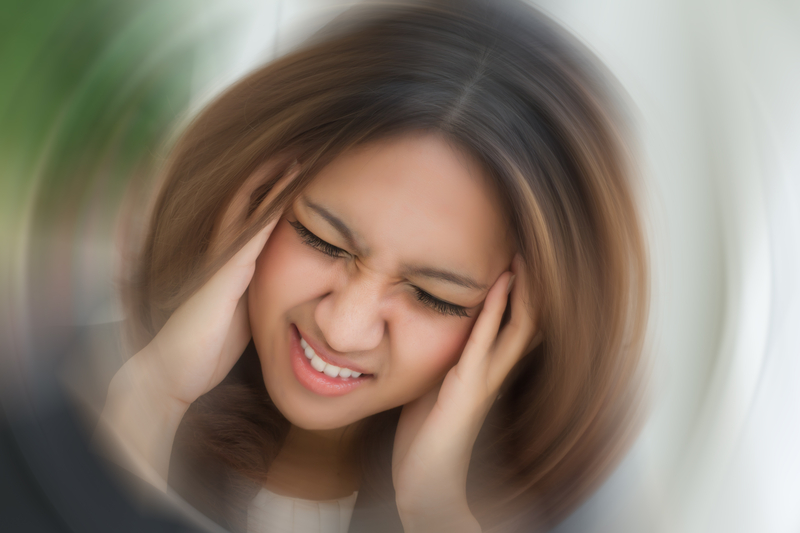 Here at Apex Headache Clinic, we have been treating vertigo or dizziness for more than 20 years, with approximately 30 per cent of all patients we see, suffering from it. This common health complaint has devastating symptoms such as poor balance when walking, light headedness, a feeling of ‘being removed’ from the world and even nausea. In the most extreme cases, vertigo confines people to their homes. It definitely can ruin people’s lives. The key to clearing your vertigo starts with getting the correct diagnosis. What is often not know, is that there are in fact two main causes of vertigo; vertigo stemming from an imbalance in the inner ear, called vestibular vertigo, and vertigo originating from the upper neck region of the spine, called cervical vertigo. Cervical vertigo is often overlooked by the medical profession as a cause of vertigo, even though it’s extremely common. It is usually the result of stiffness or damage of the upper neck joints of the spine but usually the person experiences no actual neck pain, only dizziness. Cervical vertigo is often misdiagnosed and treated as vestibular vertigo. One of the features of cervical vertigo is that it does not respond to drugs used to treat inner ear vertigo, so if your vertigo hasn’t cleared up with medication, it’s definitely time to consider if it could be stemming from your neck and seek a second opinion. Here, at Apex Headache Clinic, we have an extremely high success rate in clearing vertigo and dizziness. Furthermore, I have extensively trained our whole team of specialist physiotherapists in my manual regime of treatment used to clear vertigo called The Nelson Vertigo Approach™. This specialist treatment regime is not available at any other clinic in the UK and we have people from all over the UK travelling to see us. This regime clears cervical vertigo at its source, and in the vast majority of cases, it clears it for good, restoring the person’s quality of life. Your initial consultation at Apex Headache Clinic will involve an assessment by one of our specialist physiotherapists to determine if your neck is the source of your vertigo. If the assessment reveals cervical vertigo, a treatment plan will follow. Our unique regime of manual physiotherapy involves gentle and safe mobilisation techniques of the specific targeted segments of the upper neck region of the spine. Patients often start to feel relief within just a few sessions. “I can’t remember what triggered my dizziness but it started about five years ago. I went through all the stages of finding a cure for it. I saw GPs, Consultants, had MRI scans and had every test going, but I was told they could not find the cause of it, which was really frustrating. Don’t let vertigo ruin the quality of your life. Let our specialist physios at Apex Headache Clinic, Belfast clear it. To book an appointment with Apex Headache Clinic, contact us on: 028 9048 4153.